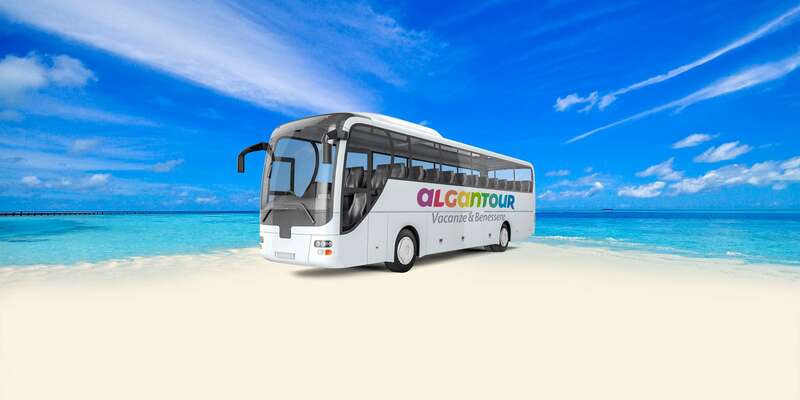 Una vacanza relax comincia dal viaggio. 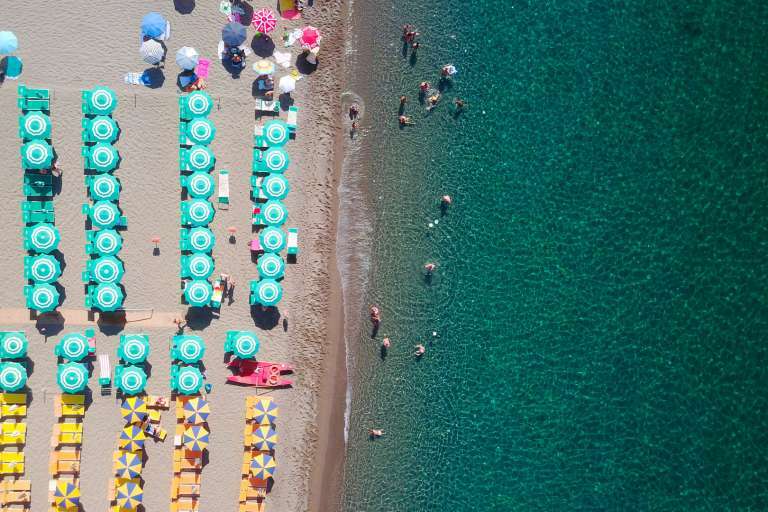 Scegli il modo più confortevole ed economico per raggiungere l’isola di Ischia. 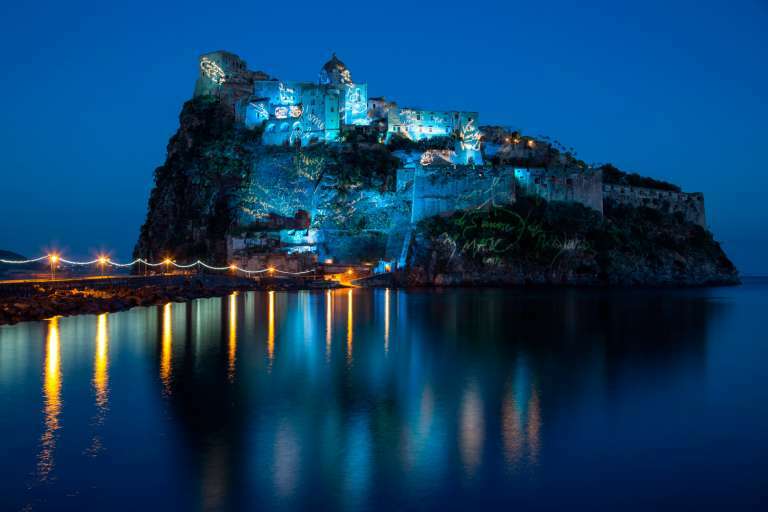 The best hotels on the island of Ischia, the best prices on the web. Choose the hotel you like best. 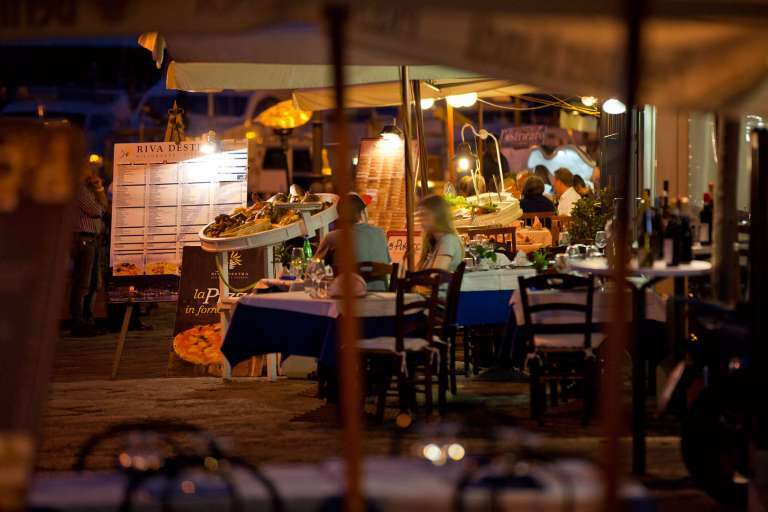 An unforgettable holiday awaits you on the island of Ischia. 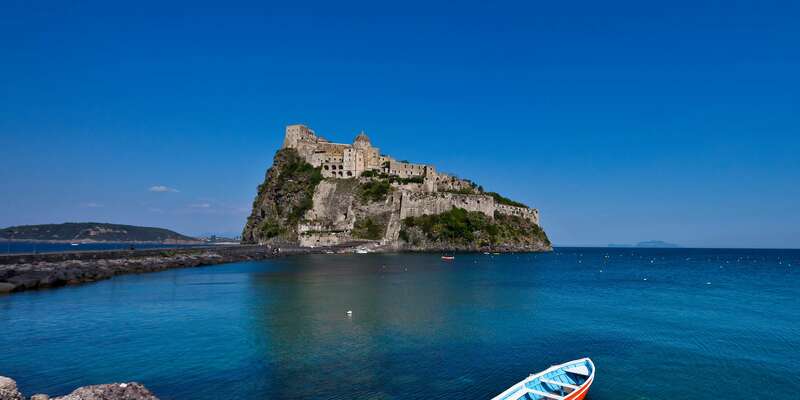 Ischia is a large island with great historical, architectural and cultural heritage. 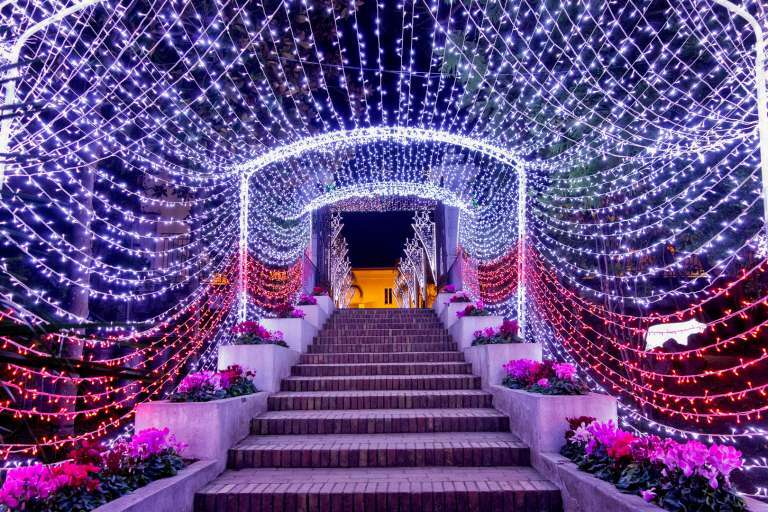 This section illustrates some of the countless places to discover and fall in love with. Ischia's spacious beaches are sun-kissed all year round. Unforgettable Mediterranean gems. Hot waters for wellbeing, beautifying muds, saunas for cleansing the lungs. Ischia’s gold: hot springs. Water courses in flower-filled gardens. Thermal paradises overlooking the sea. 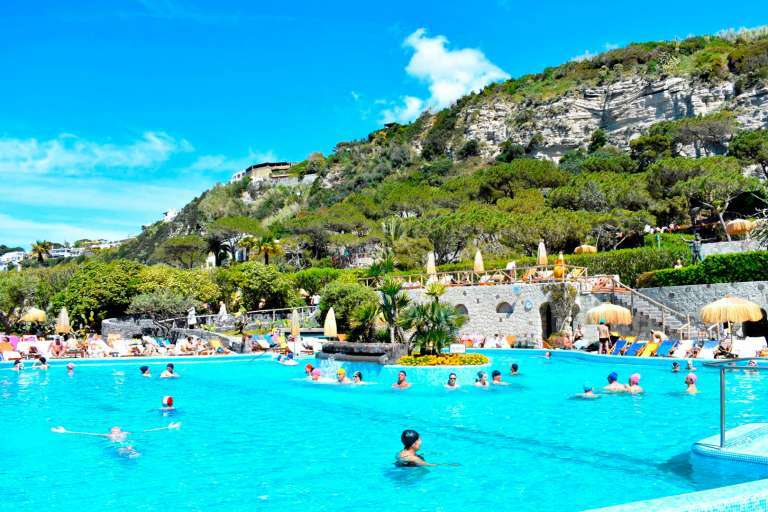 Ischia’s thermal water parks are the perfect place for health and beauty. 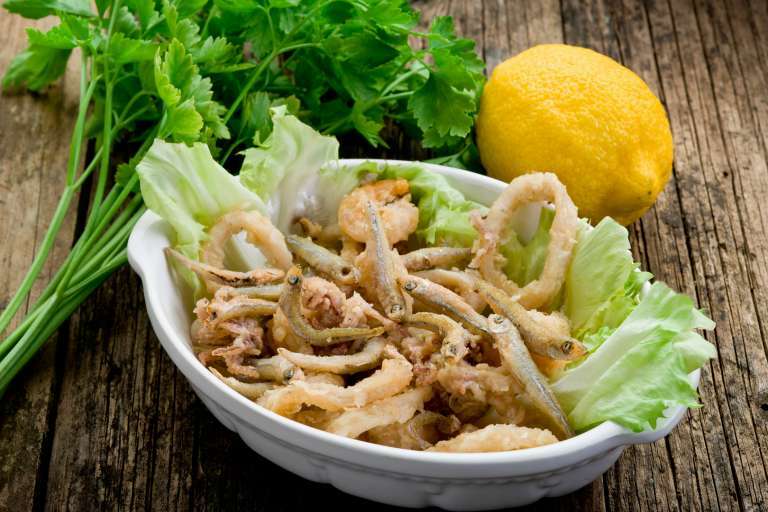 The many flavours of the island of Ischia from the land and sea. A holiday to be savoured at the table too. Patron saint feast days on the island of Ischia are unmissable events where you can learn all about local tradition and folklore.